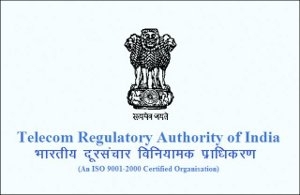 TRAI's New Tariff Order: Huge marketing challenge for channel heads? Previously, in their brand-to-consumer communication, TV channels and networks spoke about the Kumkum Bhagyas, Man Vs Wilds, KBCs and Motu Patlus of the world. Basically, it was all about the marquee properties in their programming lineups - be it across billboards, on-air promos or social media. And it made sense that way; TV channels typically air ads to promote their shows. But things have been rather atypical lately. 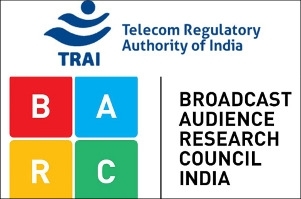 Ever since the Telecom Regulatory Authority of India (TRAI) issued a new regulatory framework enabling consumers to subscribe to channels of their choice on an à la carte basis, things changed. 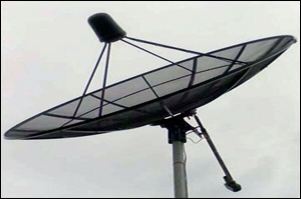 Now that consumers will be hand-picking the channels they want to watch - and paying only for their selected pool of channels - the communication game for channel heads and broadcasters has changed. Arguably, they have to now market their channels as CMOs do their products. Broadcasters have to hard sell their channels or stand the risk of being dropped. Besides, channels are now busy telling people how much they cost; broadcasters are talking about the MRP of their respective channel packs more than their most entertaining shows. Evidently, TRAI's new tariff order has brought in a new set of communication and marketing challenges for those in charge of these functions. How are they dealing with the change? And are we right in assuming things just got harder for them? Edited excerpts of what the experts we spoke to said. The marketing/communication challenges that lay ahead of us while transitioning into the new regime had three crucial stages. It started with bringing about awareness of the regime and the paradigm shift it brings. Next was educating consumers about specific packs and offerings and thirdly, facilitating behaviour change at the last mile. We initiated the communication about the MRP regime collaborating with Star, Sony and Viacom18 networks and brought our most popular protagonists together in a promo campaign. The campaign speaks about the larger implications of the TRAI mandate for consumers - the fact that they now have the freedom to make a choice and select the channels and packs they wish to watch and pay for only those. To fast-track migration and drive urgency on closure of the purchase cycle, we used a content-led pull, instilling the fear of missing out on the upcoming BIG offerings. We launched the promo "Miss mat karo, Missraji mat bano". With consumer research pointing at an emerging purchase pattern wherein people were not evaluating packs and selecting channels individually, we had our protagonists act as influencers to educate consumers that buying packs has greater value and is a smarter choice rather than buying channels on an a la carte basis. We also unveiled two new ads to educate the Free-To-Air (FTA) viewers about the movement of Zee Anmol and Zee Anmol Cinema from FTA to pay channels, outlining how to subscribe so they wouldn't miss out on their favourite shows. To help facilitate the last-leg behaviour change, our distribution teams have already conducted familiarisation workshops with service providers - MSOs and LCOs - and collaborated with them to further educate end consumers. With the agenda of hand-holding the viewers through this transition and easing them into the new regime, ZEE was the first broadcaster to undertake home visits by our most popular protagonists. These individuals sat with select families from across HSM, understood their problems and helped demystify their doubts and confusion. Positioning will play a crucial role in justifying the network/channel value proposition. Having a distinctive and clear positioning will aid the network/channel to be a must-have choice in a crowded content ecosystem. From a communication standpoint, the challenge was landing a tactical, price-point messaging without losing the brand essence of exploration that Discovery epitomises. We overcame this challenge by establishing the brand as the catalyst in giving audiences the "window to the world @ Rs 8/Seek ka safar @ Rs 8". It also emphasised on our network brand offering and the plethora of content choices at appropriate prices. The recent TRAI tariff order is a landmark ruling that brings transparency and, in spite of short term headwinds, in the long run, will benefit everyone in the value chain. The kid's category has seen some volatility and shift in the pecking order due to the NTO. However, Nickelodeon continues to stand tall by engaging audiences with immersive content. The channels will need to focus on the stories that they have to offer, which is what people consume, and that is what defines it's positioning. It is no longer guided by demography or geography of the audience, but by their psychographics. Simply put, a content brand cannot mean everything to everyone anymore, but will definitely have to mean everything to someone. Over the last three years, our marketing and communication campaigns have been designed to create a sharply focussed audience base. With the NTO coming in, our only focus is to keep growing this base and reap the benefits of what we had been working towards.